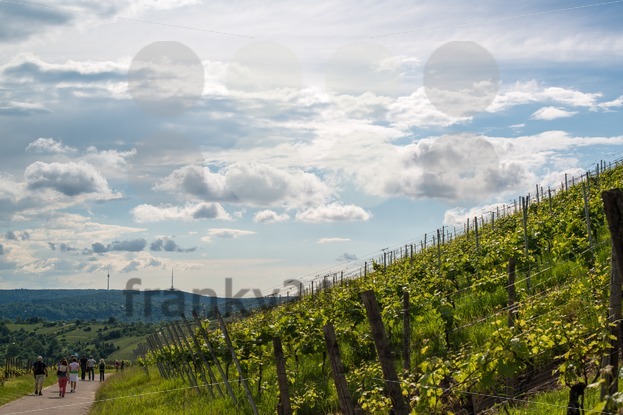 Categories: Editorial, Nature, Stuttgart, Summer. 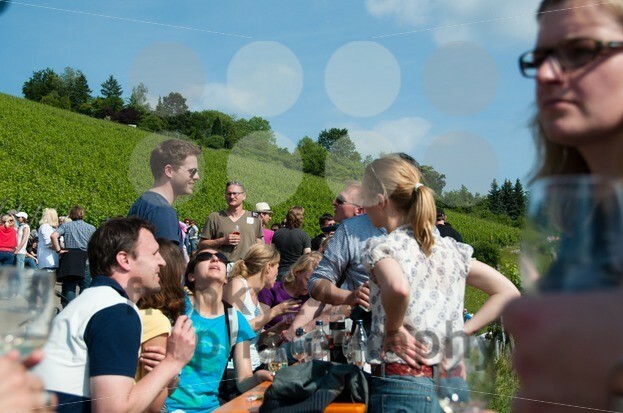 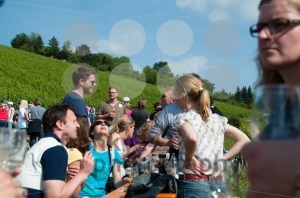 UHLBACH, GERMANY – June 9, 2013: Hundreds of people are following an organized wine tour around Uhlbach on June 9, 2013 in Uhlbach (near Stuttgart), Germany. 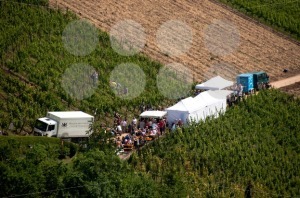 They are walking along the wine yards and stop at various tents where they can taste wines of the vinery collective ‘Collegium Wirtemberg’ in great sunny weather. 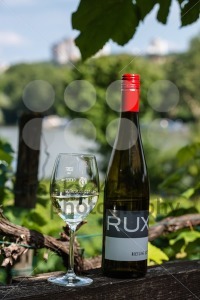 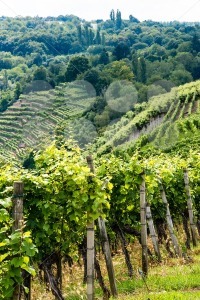 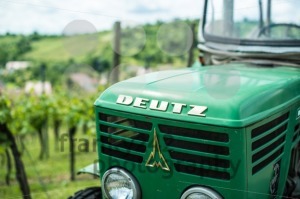 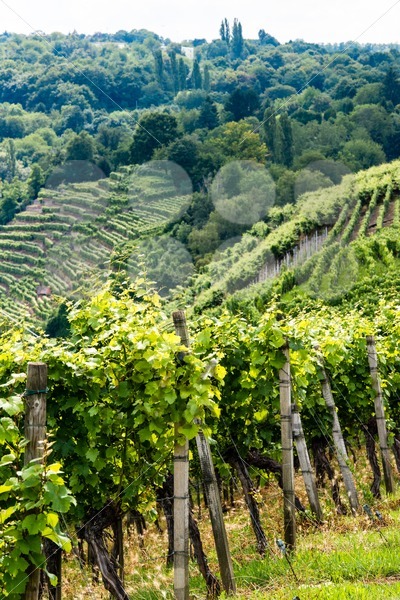 The wine yards around Stuttgart are listed amongst the most famous wine regions in Germany.